SIG Roofing is celebrating a key milestone for its TRADE CLUB loyalty programme after Roofcare South West became the 2,000th company to benefit from the scheme. 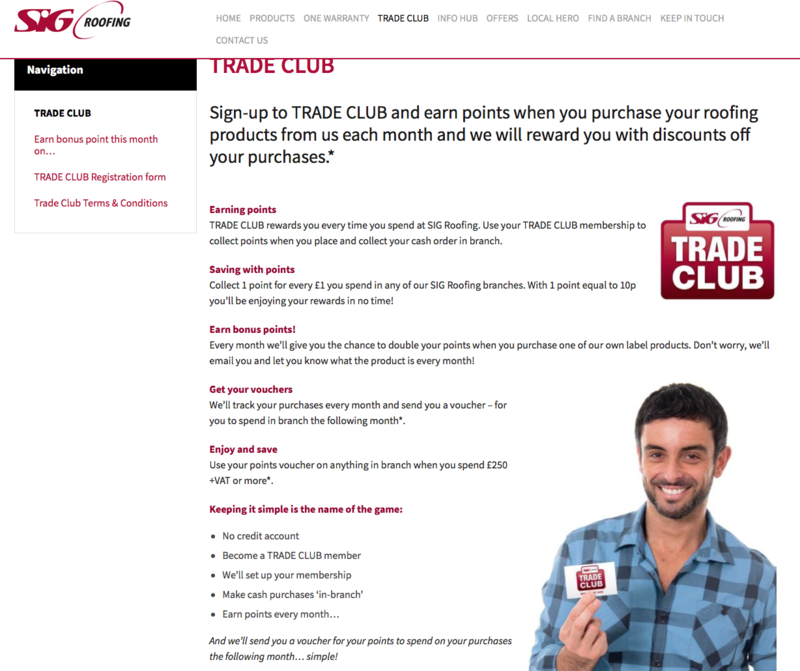 SIG Roofing’s TRADE CLUB, now in its third year, was introduced to help and reward roofing contractors across the UK, giving them the opportunity to earn points and secure discounts by purchasing roofing products from any of SIG Roofing’s 120+ branches nationwide. By joining the TRADE CLUB, contractors receive one point for every £1 spent in branch, with the opportunity to earn double points each month on selected own label products.